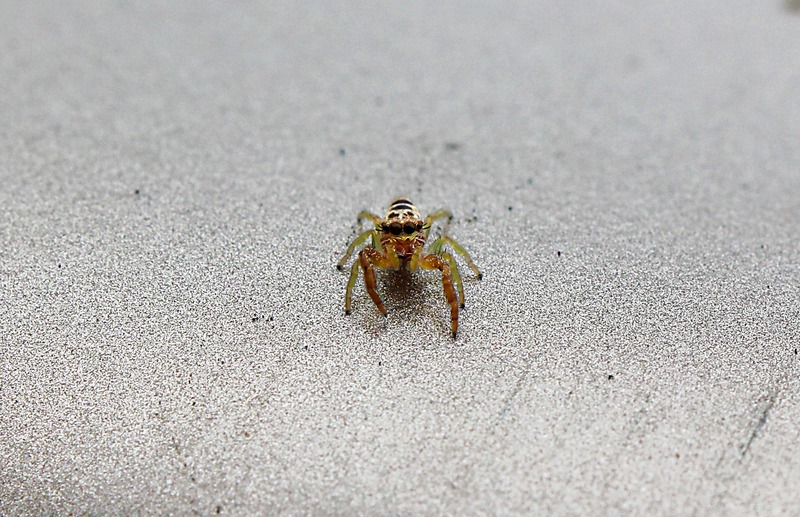 Leaving church last Sunday, I found this guy staring at me on top of my car trunk. He is miniscule but my natural fear of spiders makes me very aware of their presence around me. In fact, just today, I had to make Jeremy pull over into a neighborhood after Thanksgiving with my family so we could toss out a large yellow spider. And by �had to make� I mean freaking out and demanding while simultaneously whimpering and pondering the onset of spider doom on my vulnerable skin. 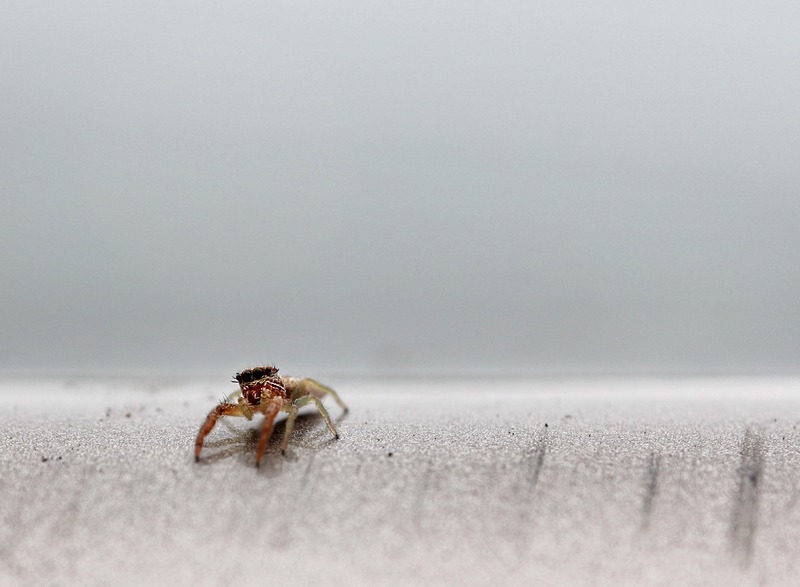 Maybe the fact that I fear these little guys also makes me want to photograph them. I mean.. they look right at you. It kind of puts a face on them. Kind of. 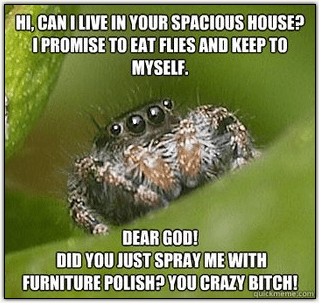 Jumping spiders are the scariest kind because they can just jump right in your face, though maybe they just like to threaten it. Looking at closeups of them on the internet though, they have adorable little faces. Your guy looks like he/she has eyelashes! Just precious. Spiders are generally not a real threat but I know fears are not really controllable. It’s brave to be facing the fear and photographing them! My boyfriend is terrified of them and I always have to be their advocate so he doesn’t kill them.